And anything that feels forced to you as a woman, WILL feel forced to a man around you... who (especially if he is quality man) will see right through it. He'll feel he can't be himself, he can't let loose, he doesn't feel emotionally safe. Projecting an image means we are driving, we are in doing mode, in forcing mode, we have an agenda, it is controlling… which means it is masculine energied in nature and origin. Feminine energy is all about the polar opposite, the freedom a soul feels when it is truly at home and secure and free in itself, not projecting an image, it is BEING ITSELF in freedom, self-acceptance and love. A feminine woman (or a woman in touch with her feminine core and energy) knows how to set herself free from any image and goes into all parts of her, including her shadow and darker aspects. She isn't shocked at these aspects of herself, some of which are wounded and hurting, some of which are dark and unpretty, rather she creates intimacy with them, gets to know them, accepts them as a part of her and leads them not to perfection, but to wholeness...powerful wholeness. She is with a man who can't believe how comfortable she is with herself—and how just by being around her, his soul is emerging, his soul is coming up to be seen by him in the power of a woman in her High Value relationship to her own self, and in her Feminine. Our goal as women is not to put on an image or repress aspects of ourselves—it is to develop a healthy relationship with all parts of ourselves and through healthy relationship become whole as we reclaim every part of our unique being and self as embodied women. Then we create that space with a man who won't believe he's found the level of intimacy he has always deeply craved with a woman- the one he’s been searching for in other perhaps more surface level outlets. This has been one of our biggest secrets to success with our clients and their men and the committed relationships they attract. I've seen the dramatic effect it has on them first hand and through clients whom I teach to embody this. The impact of this in on all of your life, and your love life, is in and of itself is incredibly powerful. I want you to share with us below a recent time that comes to mind where you were trying really hard and in a way dismissing your "already there" worth. This exercise is powerful because it brings presence and awareness to the moment we self-abandon and move into masculine, hardened, contracted, inauthentic energy so the next time it begins to happen, while it is happening you will pull into awareness and observe this. Share with us below—it could have been yesterday, this week or several years ago. It is about being aware of the quality of the love we truly offer, truly being open to seeing how it is we show up with men, day to day… and if we give real high quality love, vs low quality, love. Low quality love tends to use men, instead of truly love them. 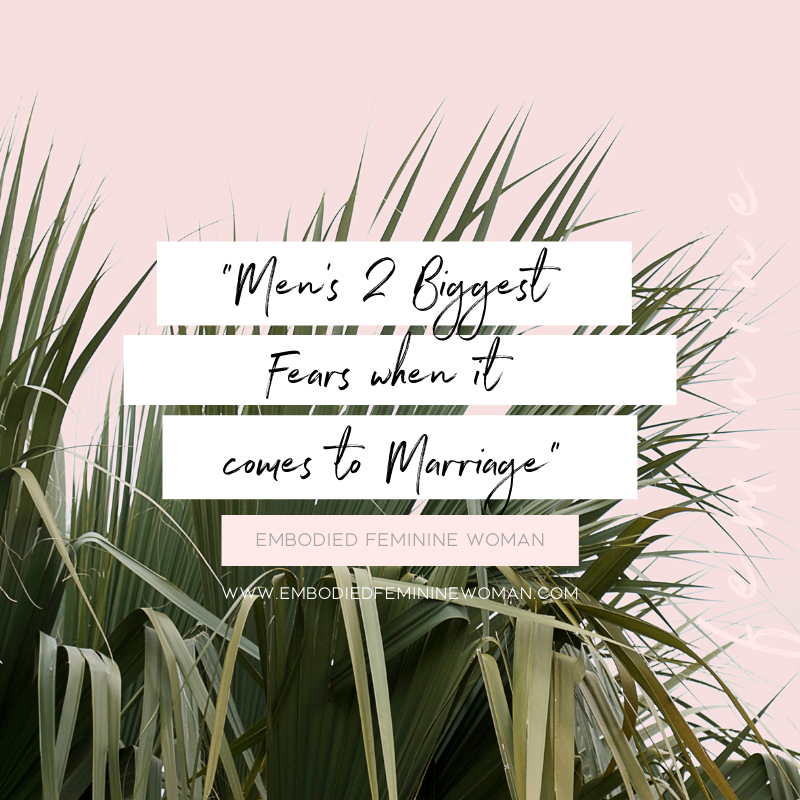 When we hide behind our fears and baggage, when we leave stuff unresolved, when we communicate aggressively or play games—we are playing at love, we are playing at relationships—and not truly engaging from vulnerability, intimacy and love. Love is humble, love is self-loving, love SEES the other human being… sees the soul. Love sees our own soul as well—sees when a man is just not capable of giving us what we desire, and respects that and moves on. Soulmates see each other's souls. Remember that the goal isn't a "relationship", the goal is 2 souls really knowing each other and choosing each other and creating a life that is much better together, than alone. So when a guy messes up he can either receive grace and guidance or rejection and punishment from us. We go to punishment as a first option so very often it wrecks love and attraction fast. The problem is when we think that mess up is a rejection or lack of love from him to us. Love guides, fear demands, Love meets us where we are, fear constantly makes him fall short. 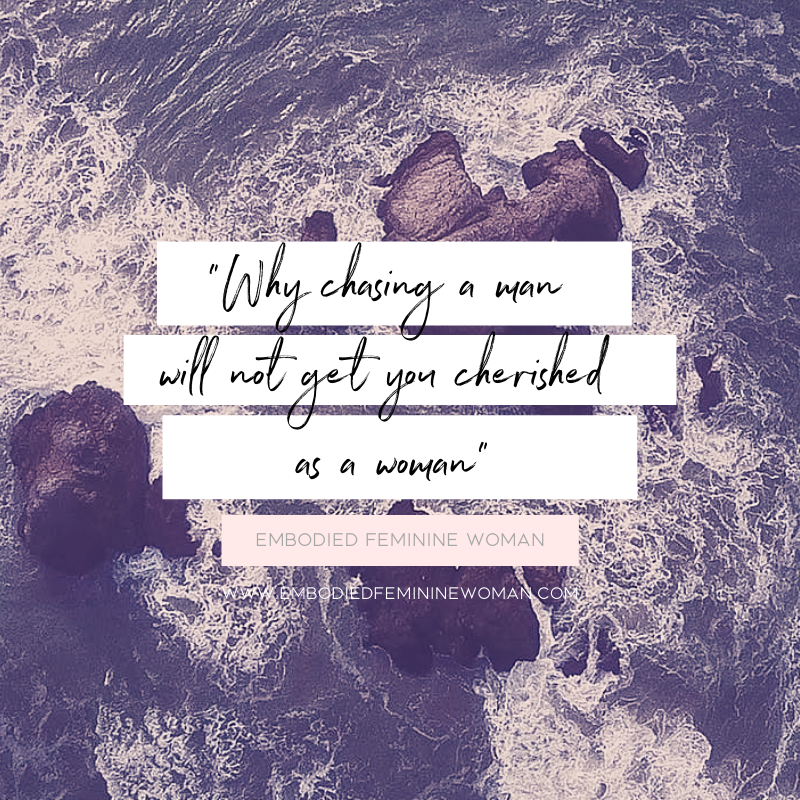 A High Value Woman accepts, rejects and lets a guy know how to win with her—she doesn't chase, lean forward, step in for him, pursue, fix but she knows how to have men with win her. Minimal investment: Don't bring much to the table by way of energy, time, conversation, investment, commitment, friendship, support, value, etc. You will attract men and women that are only out for themselves but are a match to you being only about yourself—they will also have an agenda with you, want to use you, it will just take a little longer to come out. HIGH Value attracts partners go Highest Value—and it takes solidity in all ways to attract solidity back—there is no fulfillment without solid substance, character and a real high quality person! Men—be confident, be open, be direct, listen and get to know her, create a plan, lead. Women—be confident, be open, be warm, listen and get to know him, lead with your heart.